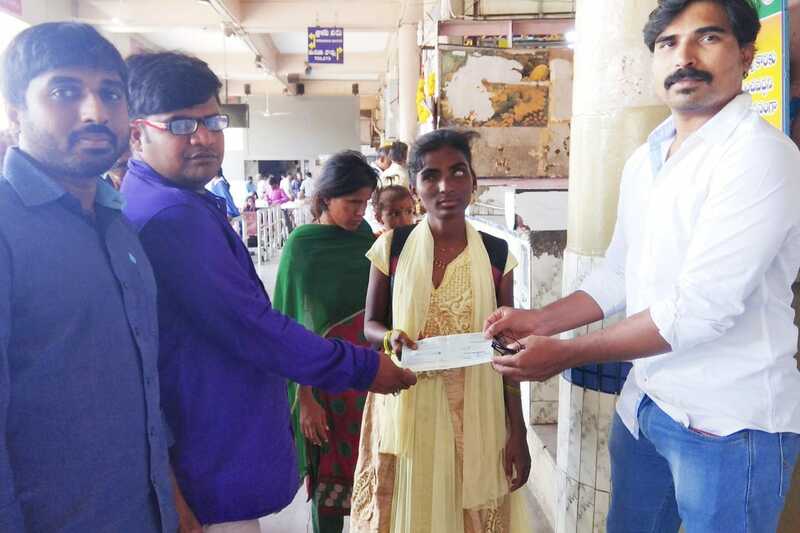 On behalf of ECM #YuvaBhavishyath, ECM team has contributed ₹5000 scholarship to Kolli Divya for her Degree college fee. Even was conducted on on 28-08-2018 at Kavali, Andhra pradesh. Thank you Ko Mathi for your valuable support. 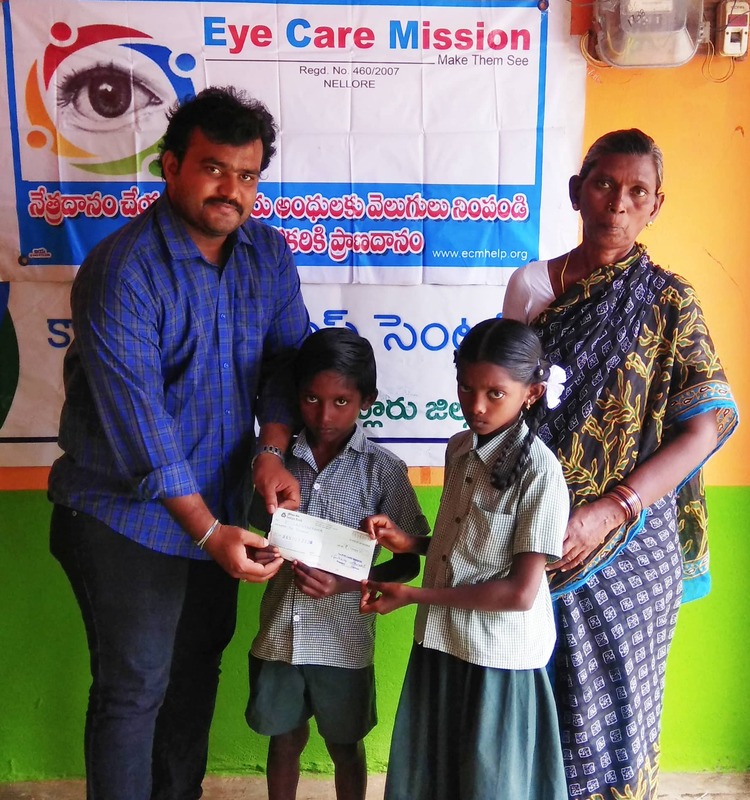 ECM team has contributed ₹10000 scholarship to Anitha & Anil for their education support (Yearly contribution) on 28-08-2018, at Girijana Colony, Jaladanki, Andhra Pradesh . Thank you team for the support. 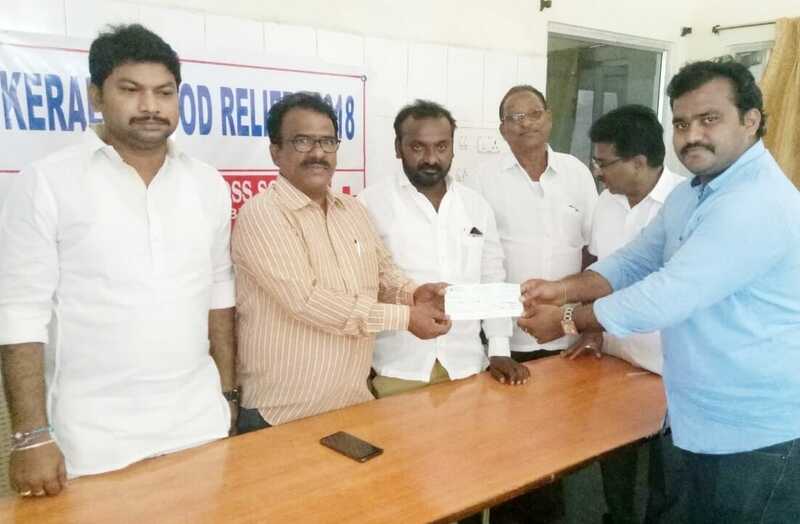 ECM team has donated ₹10000 to support the flood victims Kerala via Cheque to RDO & Red Cross. Red Cross team will go to Kerala and distribute Rice, Household items and protein food for the children. Even was conducted on 26-08-2018 @Kavali, Andhra Pradesh. Sincere thanks to all contributors. 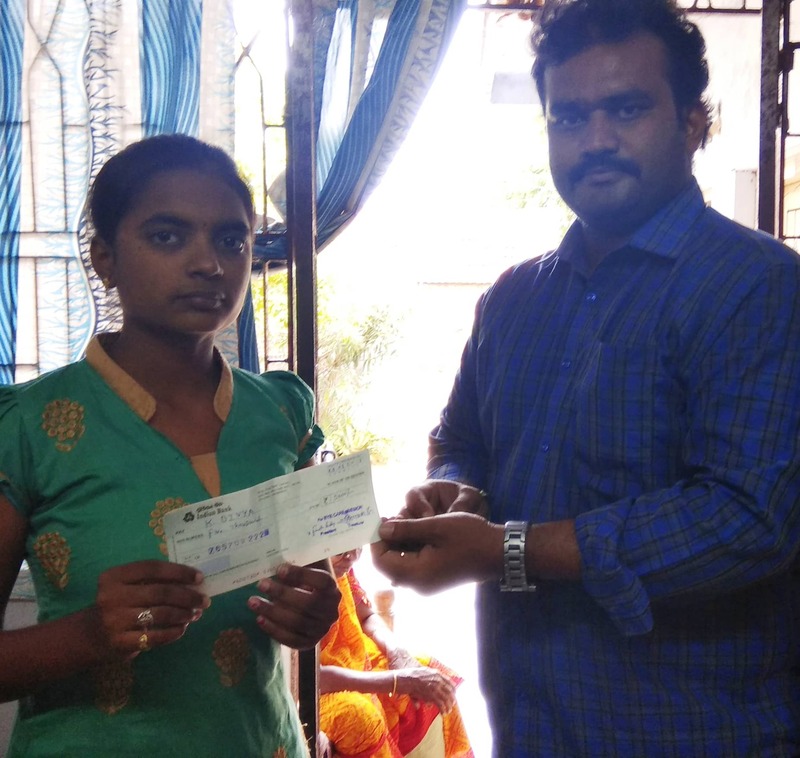 ECM team has contributed ₹7000 scholarship to Meri Santhi for her education support @ Nelllore, Andhra Pradesh. Thank you team for your support. 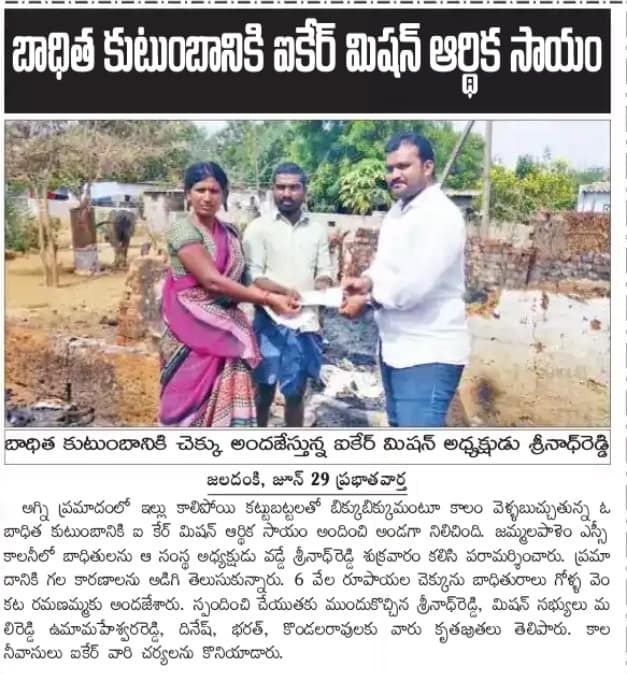 ECM team has donated ₹6000 to fire victims at Jammalapalem village.